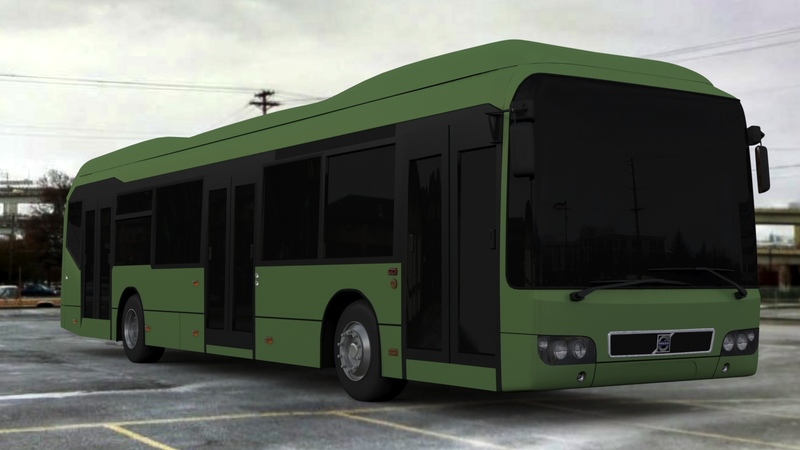 A medium-complexity exterior model of the Volvo 7700 Hybrid bus. There is no interior, which is why the model is shown here with darkly-tinted windows. Suitable for adding your own interior, or positioning in your own scenes, as is.